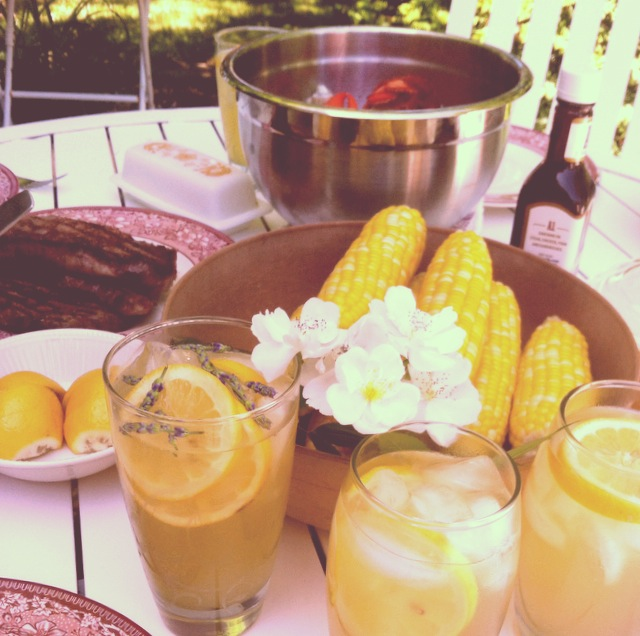 Kaitie made a pitcher of Honey Lavender Lemonade for our first BBQ of summer... it was a big hit! Cut each lemon in half. Take a nice slice or two of lemon off of each half and set these aside. Squeeze the juice from the remainder of the lemon halves into a small bowl and then spoon out the seeds. Mix the lemon juice and 2 cups of water in a half gallon container. 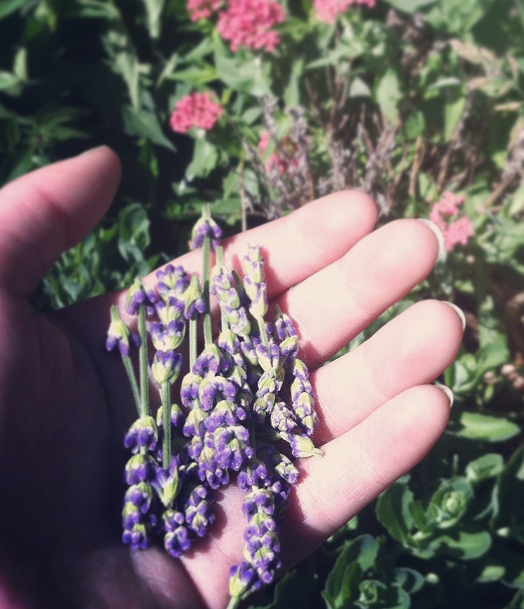 Remove the lavender blossoms from the honey lavender water. 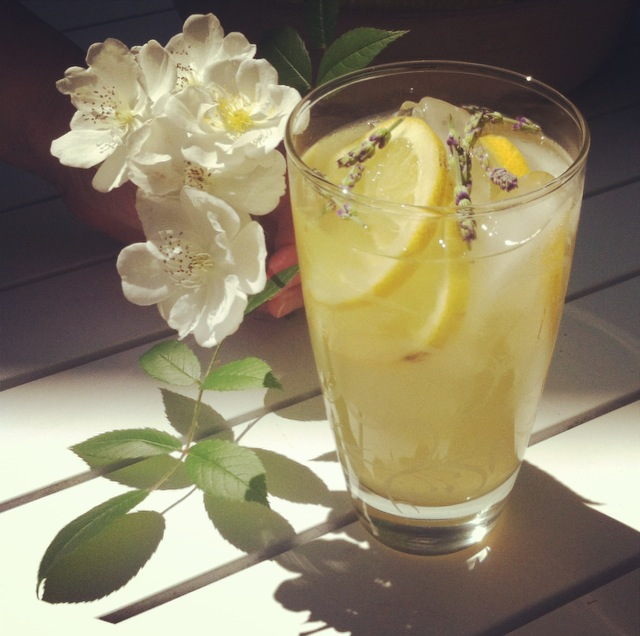 Add the honey lavender water to the pitcher of lemon water and mix well. Slip the lemon slices in, top off with more water and stir. Chill the lemonade. Pour over ice, garnish, and serve. First cookout of the summer!